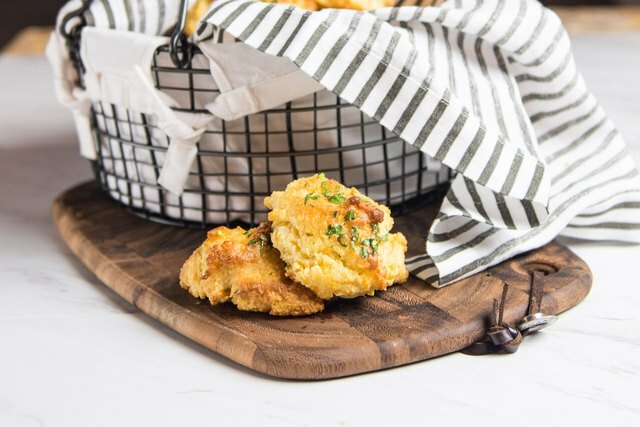 Have you ever had the guilty pleasure of filling up on a basket of Cheddar Bay Biscuits at Red Lobster? 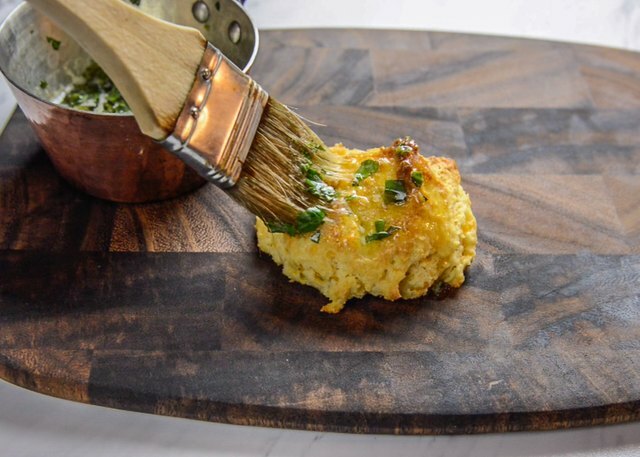 Then you're going to love this recipe! 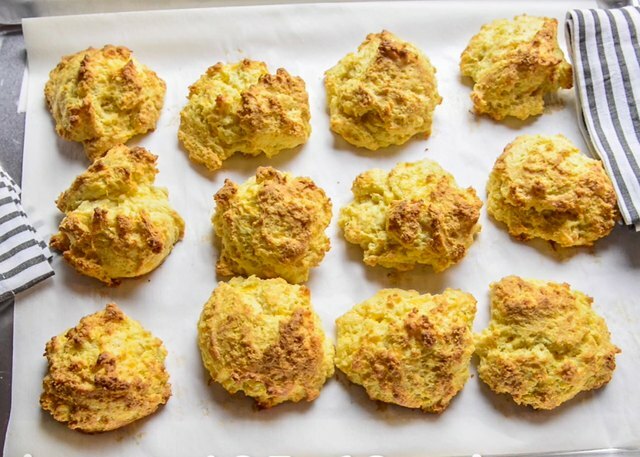 Even if you've never tried them, these would still be some of the most delicious, light and flavorful biscuits you've ever had. 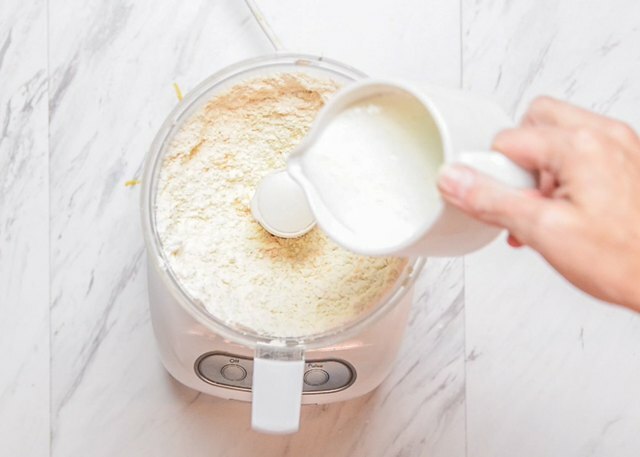 This is a recipe you'll make over and over again. 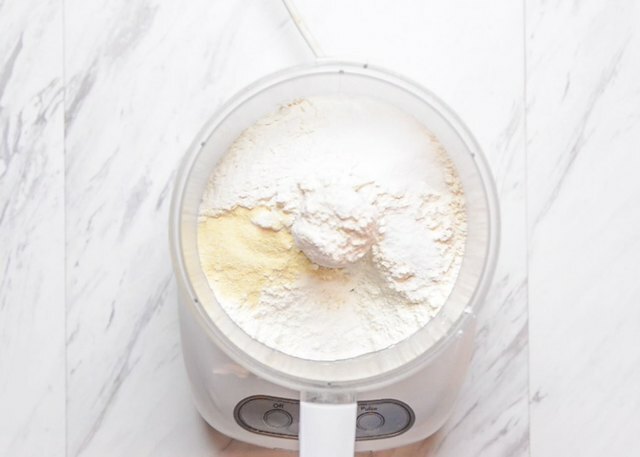 Add the flour, garlic powder, salt, sugar and baking powder to a food processor. Pulse to combine. 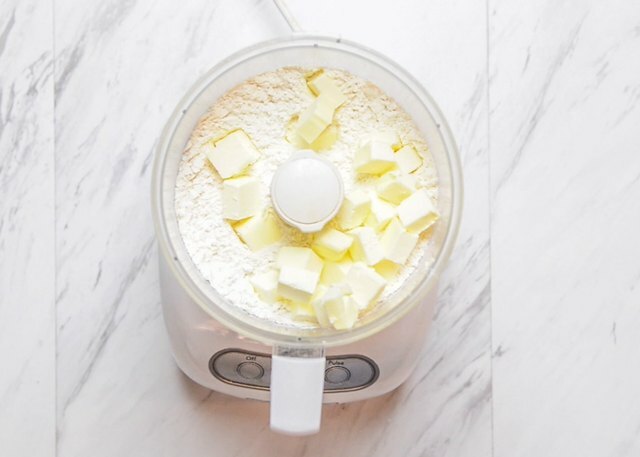 Add the cubed butter to the food processor, and process until the butter is well combined with the dry ingredients and no large chunks of butter remain. Add the cheddar cheese, and then pulse until just combined. Pour in the buttermilk, and pulse gently until combined. 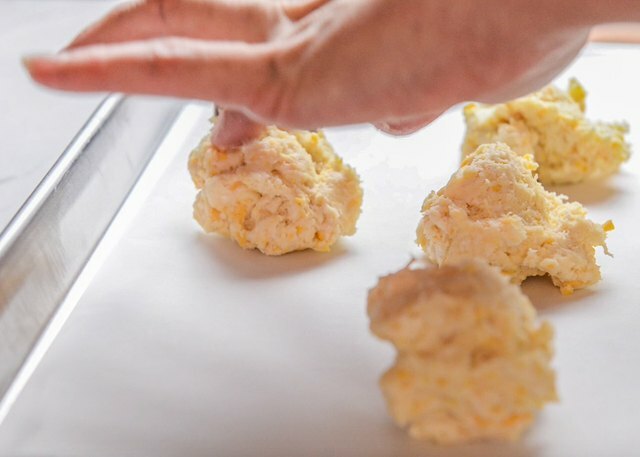 Scoop the biscuits onto a baking sheet that has been sprayed with cooking spray or covered in parchment paper (parchment is recommended). Bake at 425 F for 12 to 15 minutes or until golden brown. 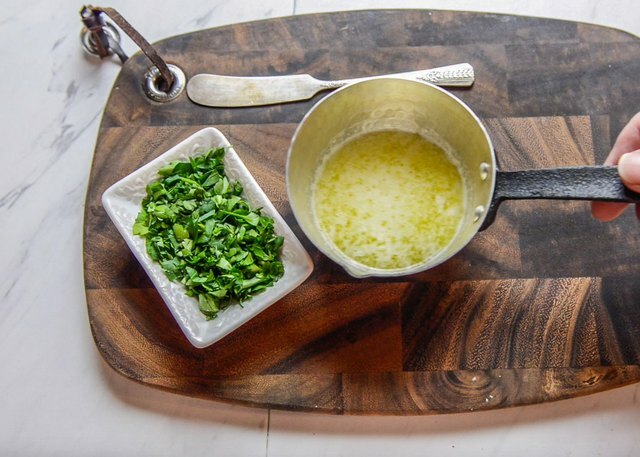 Stir together the melted butter and parsley. This can be done while the biscuits are baking.